My post this week will be brief. Today, I ended up spending my writing time chasing down copyright infringers. 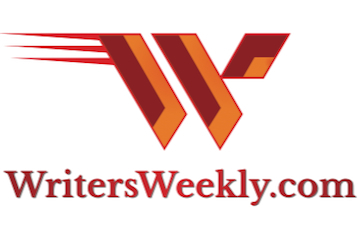 What do infringers most frequently steal from WritersWeekly.com? Our paying market listings. 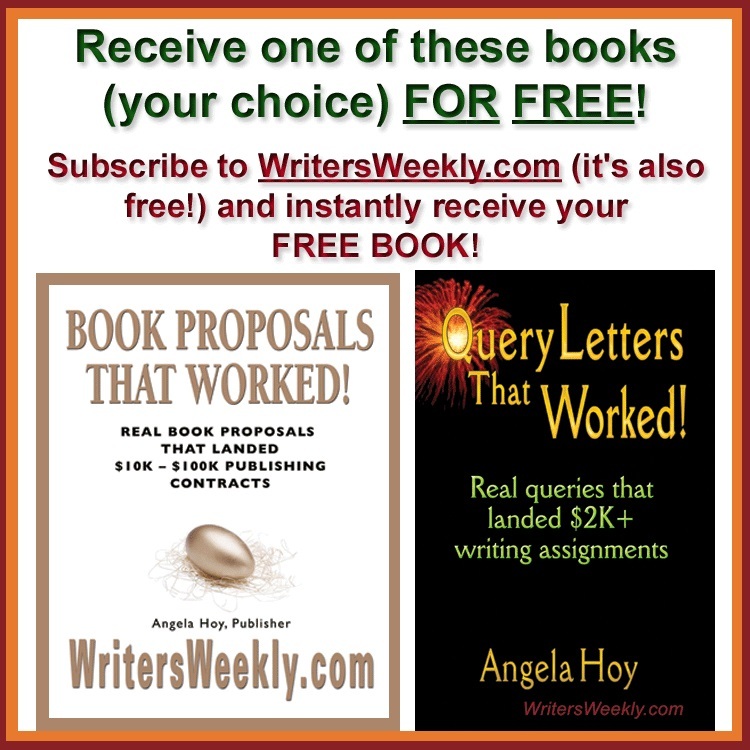 Paying freelance markets published by WritersWeekly.com are completely original listings, created by WritersWeekly.com after interviewing specific editors. They are our original, copyrighted work and they are time-consuming and expensive to create. We pay employees to help us with the work involved in contacting editors, and using their answers to create detailed market listings that feature each editor’s current needs. I, personally, check and edit each one, and send the finished listing directly to each editor for final approval. 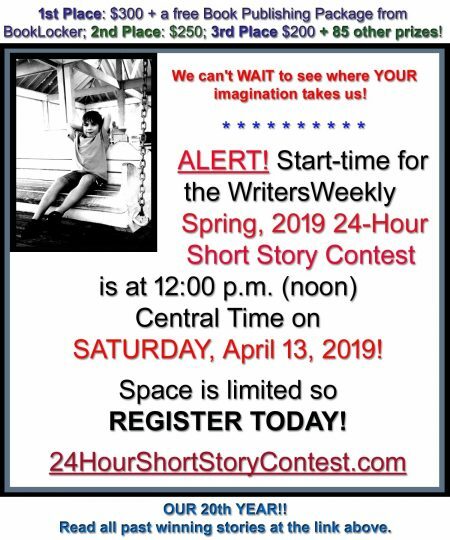 We do not allow third parties to copy our markets because doing so greatly dilutes the value of these markets for YOU, our WritersWeekly.com readers. When somebody steals our markets and publishes them elsewhere, YOU have to compete with THEIR readers for those valuable writing assignments! Therefore, people who illegally copy and publish our markets not only hurt WritersWeekly.com, they harm YOU, our readers, as well. 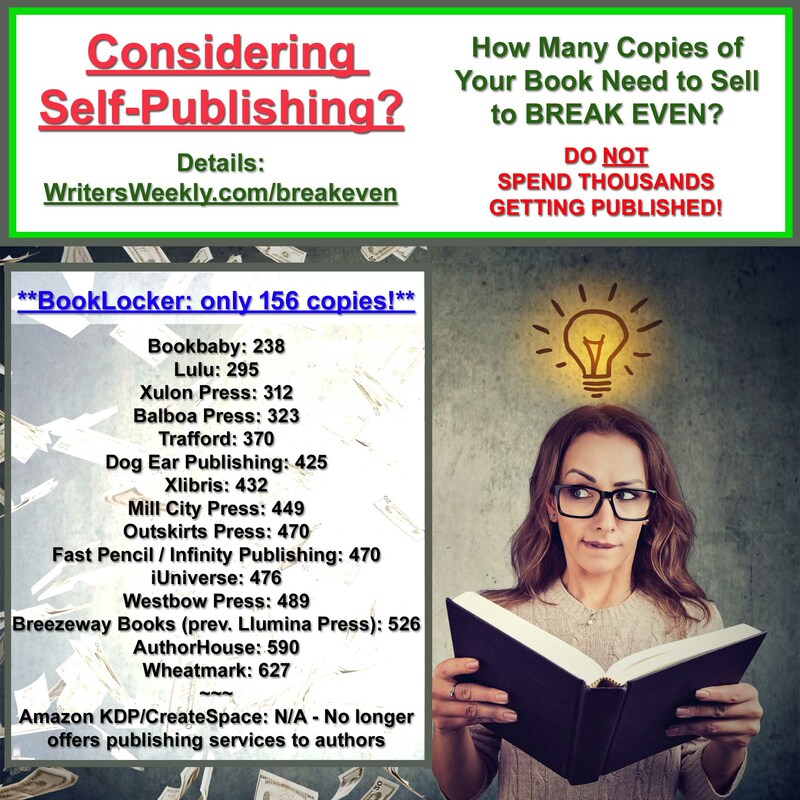 Sadly, almost all the infringers are fellow writers, and many of those are people who are publishing ezines, blogs and even print publications FOR OTHER WRITERS. And, you wouldn’t BELIEVE some of the excuses we hear, from things like “my employee did it” to “one of my readers sent them in and said I could publish them.” It’s like the old stolen car excuse. Even if you claim you didn’t know it was stolen, you’re still guilty of driving a stolen car. Next week, I’ll expose some of them here. For now, I must get back to the dreaded task of sending out warning letters to the copyright infringers we’ve located in the past few days. This always puts me in the foulest of moods because I feel so personally violated when another writer steals from me. I’m sure many of you know exactly how I feel.